Just south of the intersection of Santa Fe Dr and Holland Lake, on the north side of the road. As residents of Weatherford, we are committed to providing you with personalized assistance in a caring and simple manner. From auto insurance to home insurance and renters, life insurance and financial services we are here 24/7. 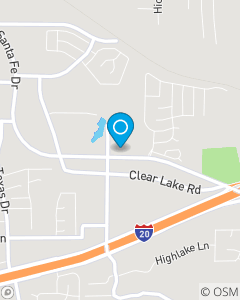 Call, click, or walk in to our office located just south of the intersection of Santa Fe and Holland Lake Dr.